[S46002] General Register Office, Information taken from Marriage certificate of son. Georgia Belle Berg was born on 8 September 1930 in Oelwein, Iowa, USA, She was the daughter of Ray K and Georgia (Van Houten) Berg.1,3 She married William Harding Greathead, son of William Davis Greathead and Beryl Eda Shepard, on 19 March 1947 in Oelwein, Iowa, USA.1,4 Georgia and William were divorced.4 She married Doras Marrion Latham on 28 August 1961 in West Union, Iowa, USA.1,3 Fire broke out at 4am on 17 August 1968 in the kitchen of the rented two story seven room white frame Latham house. It is believe one of the boys had made soup about midnight and left the burner on. There was no telephone in the house. Gerald one of the sons was the first to be aware of the fire, he ran to a neighbours house to raise the alarm. Doras awoke from sleep at about the same time. He had been sleeping in the car, he ran for help unaware that Gerald had already gone. When the Hazleton firemen arrived the fire had already spread from the kitchen. Doras had to be restrained from going into the burning building. Georgia leap out of a second floor window, Beryl and Fritz walked down the stairs shortly after Gerald had gone for help. Raymond jumped from a second floor window. [S40045] Newspapers The Cedar Rapids Gazette 17 August 1968. [S260] Emails between C-G Magnusson and Jan Cooper from 23 March 2009. [S26686] Emails between Kristina Greathead and Jan Cooper from 24 April 2011. [S260] Emails between C-G Magnusson and Jan Cooper from 23 March 2009 Oelwein Daily Recorder 1 July 1959. 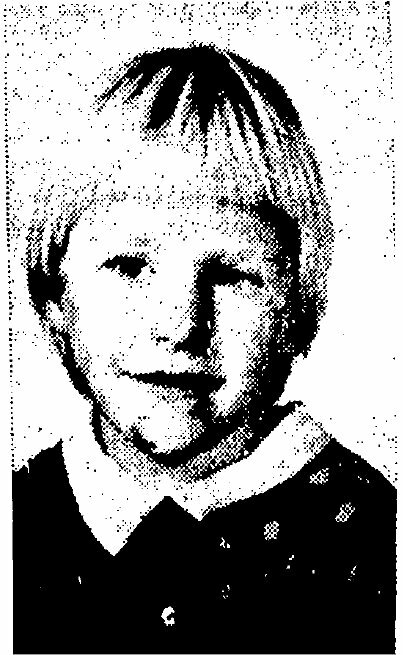 [S260] Emails between C-G Magnusson and Jan Cooper from 23 March 2009 Oelwein Daily Register 26 October 1968. [S40045] Newspapers Daily Register 25 August 1994 Oelwein, Iowa. [S260] Emails between C-G Magnusson and Jan Cooper from 23 March 2009 The Gazette, Oelwein. [S40000] Website Find a grave. [S3] GRO Indexes - 1865/Q4 Chorlton Volume 8c Page 597. [S45000] General Records Office, I hold a copy of birth certificate 1865/Q4 Chorlton Volume 8c Page 597. [S45001] General Register Office, Information taken from Birth certificate of daughter. Sharon Lee Greathead was born about 1954.1 She was the daughter of William Harding Greathead and Georgia Belle Berg.1 Fire broke out at 4am on 17 August 1968 in the kitchen of the rented two story seven room white frame Latham house. It is believe one of the boys had made soup about midnight and left the burner on. There was no telephone in the house. Gerald one of the sons was the first to be aware of the fire, he ran to a neighbours house to raise the alarm. Doras awoke from sleep at about the same time. He had been sleeping in the car, he ran for help unaware that Gerald had already gone. Doras Marrion Latham was born about 1912.1 Doras was listed as aged 3 on the 1915 census of Hazleton, Iowa.2 He married Georgia Belle Greathead on 28 August 1961 in West Union, Iowa, USA.1,3 Fire broke out at 4am on 17 August 1968 in the kitchen of the rented two story seven room white frame Latham house. It is believe one of the boys had made soup about midnight and left the burner on. There was no telephone in the house. Gerald one of the sons was the first to be aware of the fire, he ran to a neighbours house to raise the alarm. Doras awoke from sleep at about the same time. He had been sleeping in the car, he ran for help unaware that Gerald had already gone. [S7] Ancestry.com - Iowa State Census Collection, 1836-1925 > 1915 > Buchanan > Hazleton Roll !a 1915_57 Line 688. 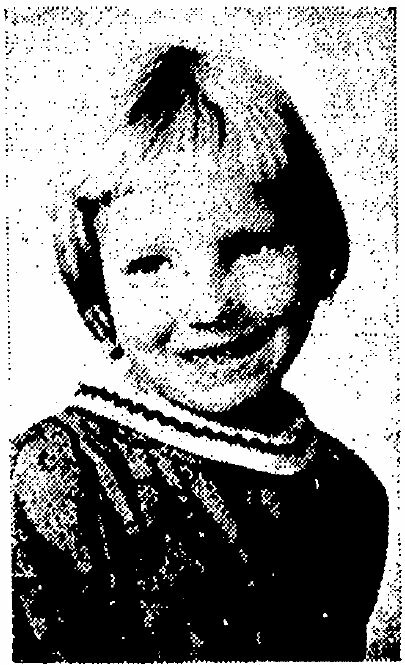 Sally Ann Latham was born about 1968 in Hazleton, Cedar Rapids, Iowa, USA.1 She was the daughter of Doras Marrion Latham and Georgia Belle Berg.1 Fire broke out at 4am on 17 August 1968 in the kitchen of the rented two story seven room white frame Latham house. It is believe one of the boys had made soup about midnight and left the burner on. There was no telephone in the house. Gerald one of the sons was the first to be aware of the fire, he ran to a neighbours house to raise the alarm. Doras awoke from sleep at about the same time. He had been sleeping in the car, he ran for help unaware that Gerald had already gone. Michael Allen Latham was born about 1966 in Hazleton, Cedar Rapids, Iowa, USA.1 He was the son of Doras Marrion Latham and Georgia Belle Berg.1 Fire broke out at 4am on 17 August 1968 in the kitchen of the rented two story seven room white frame Latham house. It is believe one of the boys had made soup about midnight and left the burner on. There was no telephone in the house. Gerald one of the sons was the first to be aware of the fire, he ran to a neighbours house to raise the alarm. Doras awoke from sleep at about the same time. He had been sleeping in the car, he ran for help unaware that Gerald had already gone. Charles Elvis Latham was born about 1965 in Hazleton, Cedar Rapids, Iowa, USA.1 He was the son of Doras Marrion Latham and Georgia Belle Berg.1 Fire broke out at 4am on 17 August 1968 in the kitchen of the rented two story seven room white frame Latham house. It is believe one of the boys had made soup about midnight and left the burner on. There was no telephone in the house. Gerald one of the sons was the first to be aware of the fire, he ran to a neighbours house to raise the alarm. Doras awoke from sleep at about the same time. He had been sleeping in the car, he ran for help unaware that Gerald had already gone. 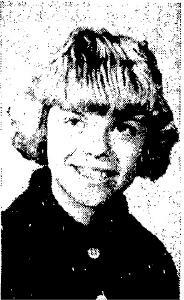 Lori Marian Latham was born about 1960 in Hazleton, Cedar Rapids, Iowa, USA, Lori was the twin of Lynn.1 She was the daughter of Doras Marrion Latham and Georgia Belle Berg.1 Fire broke out at 4am on 17 August 1968 in the kitchen of the rented two story seven room white frame Latham house. It is believe one of the boys had made soup about midnight and left the burner on. There was no telephone in the house. Gerald one of the sons was the first to be aware of the fire, he ran to a neighbours house to raise the alarm. Doras awoke from sleep at about the same time. He had been sleeping in the car, he ran for help unaware that Gerald had already gone. Lynn Marie Latham was born about 1960 in Hazleton, Cedar Rapids, Iowa, USA, Lynn was the twin of Lori.1 She was the daughter of Doras Marrion Latham and Georgia Belle Berg.1 Fire broke out at 4am on 17 August 1968 in the kitchen of the rented two story seven room white frame Latham house. It is believe one of the boys had made soup about midnight and left the burner on. There was no telephone in the house. Gerald one of the sons was the first to be aware of the fire, he ran to a neighbours house to raise the alarm. Doras awoke from sleep at about the same time. He had been sleeping in the car, he ran for help unaware that Gerald had already gone. [S3] GRO Indexes - 1977/Q3 Durham Eastern Volume 1 Page 1928.